Erin Guinup presents “The Ladies of Lyric and Song”. Photo by Kat Hennessey. Erin Guinup presents her new one-woman show, “The Ladies of Lyric and Song” on Saturday, November 16 at 7:30 p.m. at the University of Puget Sound’s Schneebeck Concert Hall. This performance is free to the public. “The Ladies of Lyric and Song: A Musical Reflection on the Ground-Breaking Female Composers and Lyricists of the American Musical Theatre” is a unique concert experience, incorporating theatrical elements, fascinating stories, and a wide variety of songs. The history of 100 years of musical theatre is traced through the words and music of the women who helped shape it. Music includes operetta, jazz, golden era, folk-rock, and contemporary musical theatre songs. Directed by local theatre icon Patti Cohenour (Tony-nominated for Big River, Christine Daae in original Broadway cast of Phantom of the Opera, and Gregory Award winner for Edith/Little Edie in 5th Avenue’s recent production of Grey Gardens), Guinup is joined on stage by pianist Tim Strong. 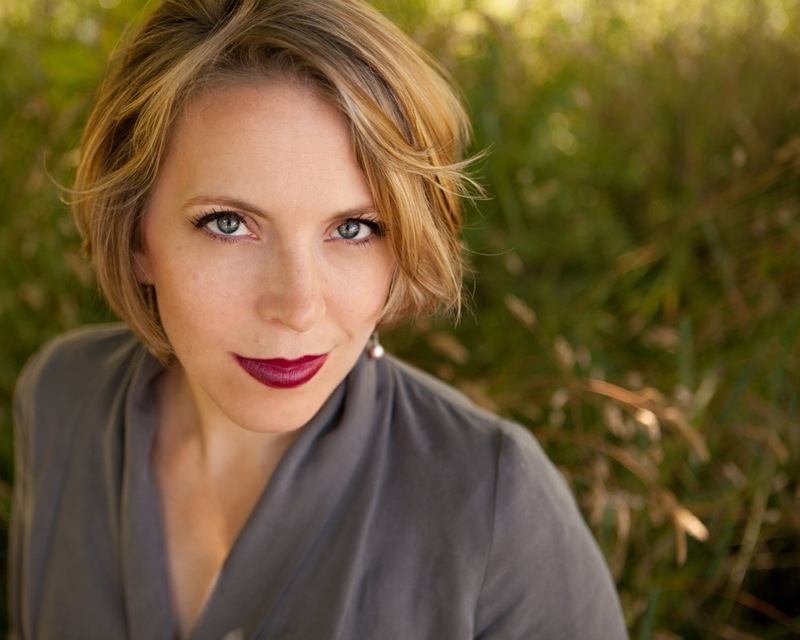 Erin Guinup has performed a wide range of operatic and musical theatre roles with Tacoma Opera, Rainier Family Opera, Capital Playhouse, Mormon Festival of the Arts, and Shakespeare in the Parking Lot. Roles include Gretel in Hansel and Gretel, Musetta in La Boheme, Susanna in The Marriage of Figaro, Mrs. Nordstrom in Sondheim’s A Little Night Music, and both Mary and Mary Magdalene in productions of Savior of the World. Guinup earned her degree in Vocal Performance and Music Education from the University of Puget Sound and works as a performer, voice teacher, stage director, conductor, and composer. 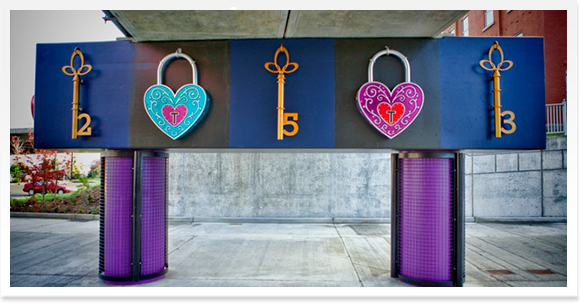 The Tacoma Arts Commission is proud to support this project through its Tacoma Artists Initiative Program. 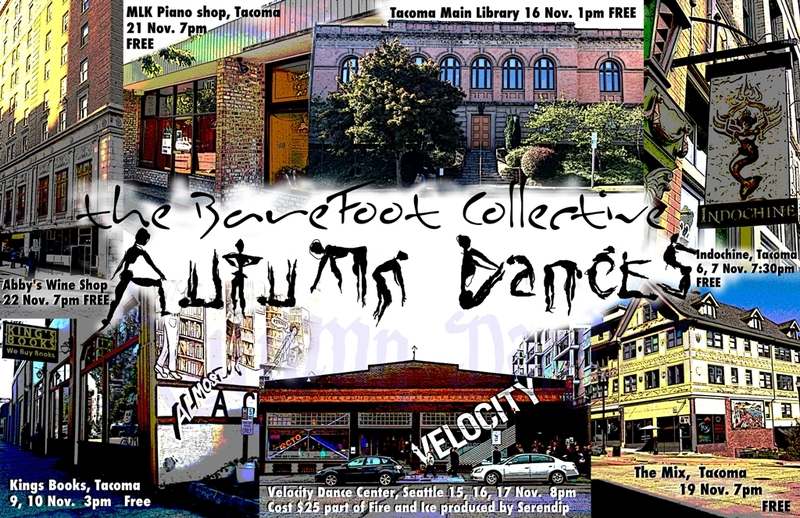 For its second season, the BareFoot Collective is taking dance out of the theater and sharing it with the public through free performances of Autumn Dances all around Tacoma this November. The BareFoot Collective dancers are working with several local choreographers, including dancers from PLU, Spectrum Dance Theater and MetroArts, to program 30 – 40 minute line-ups of innovative modern dance including improvisation, contemporary, dance-theatre, and hip-hop works to share with audiences in these non-traditional performance spaces. “The BareFoot Collective has been creating opportunities for dance in Tacoma since 2008. We are thrilled to partner with local businesses this fall and bring dance to the people where they are. Tacomans will not have to go to the theater and buy a ticket to see dance this November – the BareFoot Collective is steppin’ out!,” says co-director Katie Stricker. Nov. 6, 7:30 p.m – Indochine, 1924 Pacific Ave.
Nov. 7, 7:30 p.m – Indochine, 1924 Pacific Ave.
Nov. 9, 3 p.m. – King’s Books, 218 St Helens Ave.
Nov. 10, 3 p.m. – King’s Books, 218 St Helens Ave.
Nov. 19, 7 p.m. – The Mix, 635 St Helens Ave.
All performances are free. For further information check out the BareFoot Collective on Facebook or check their website. The Tacoma Arts Commission is proud to support Autumn Dances through its Arts Projects funding program.